Prof Astrid Limb is a world-leader in Muller cell biology and Prof Sir Peng Khaw is Director of Research at the National Institute for Health Research Biomedical Research Centre in Ophthalmology at Moorfields Hospital. Prof Limb’s work has demonstrated a restorative retinal function in several preclinical models following Muller cell therapy, a specialised cell essential for retinal function. 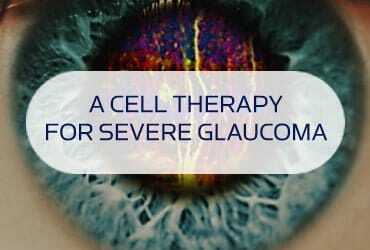 The collaboration with Apollo is focussed on the development of a translational Muller cell therapy programme to prevent further retinal degeneration and to restore retinal function in patients suffering from significant retinal degeneration.